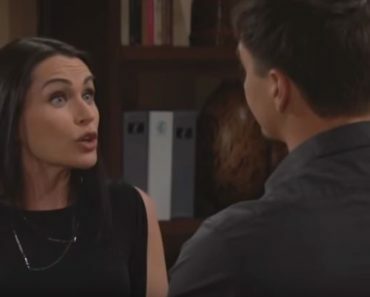 The Bold and the Beautiful fans knew it wouldn’t take long for Brooke to want to say a few words to Taylor about kissing Ridge. She’s not his wife, and she has no right to kiss another woman’s husband. Brooke is nothing if not beyond furious about all of this, but we don’t see how she expects Taylor will care what Brooke thinks. She’s never been afraid to hurt her feelings or do things that she won’t like, but we were all shocked when Taylor basically told Brooke that she absolutely does have some ulterior motives that are not good for them. She’s not trying to keep her situation to herself. She’s looking to keep her enemies close, and we are looking to see how she plans on making sure she gets her old husband back without turning him off for good by stealing him back. On the other note, we were all a little bit surprised to hear that Thomas opened up to Hope about his relationship with Caroline. She always thought that they were in a good place, and she had no idea that things were not good between them. She was not aware of their issues and the fact that they had so much misery in their lives, and him opening up to her like this has caused her to see him in a brand new light. She’s given his son so much attention and so much love already, and now she feels even more heartbroken and crushed for this little boy and his future. She had no idea that his life was so miserable and upsetting, and that’s one of those things she’s not able to fix – but will this make him more attractive to her? Will she find she’s attracted to him? We love that they all love him even when they don’t love him. Things are more than a little heated for Taylor and Brooke right now as they have their situation to deal with. They are in the middle of things that are out of Brooke’s control, and they are all in Taylor’s hand right now. 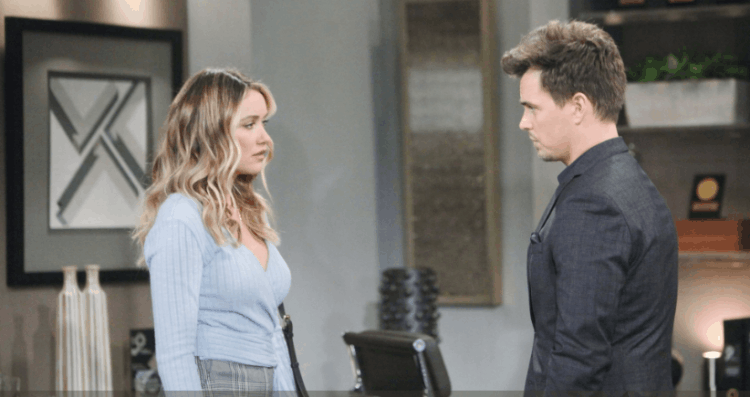 But, we think that things might take a turn for her in the near future when Ridge comes into the situation and he knows that they are fighting. He will go out of his way to make sure they stop this, but we don’t know if that will work. They will stop for the moment, but they will always continue their fights when he is not around. There is nothing else that he can do other than assure his wife that he is in this marriage with her and that his ex is not of any importance to him. And then he should stop spending time with Taylor, but he will not. Meanwhile, Liam is with his brother and has some very interesting questions to answer. He won’t be able to answer these questions in an easy manner, but things will turn around in the near future. We suspect that Wyatt wants to know the answers to a few things himself, and he will go out of his way to make sure his brother is being honest with him to the best of his own abilities. There is just too much we cannot handle otherwise, and we suspect that there is more that we will see from these two in the coming weeks.